New York-based visual artist Ian Cheng’s work focuses on simulations and motion-based videos that explore the mind of the human species, our consciousness and emotions, as well as our ability to relate to change, taking place both in the past and present. After studying Art Practice and Cognitive Science in his undergraduate years at the University of California, he started working at a special effects studio, Industrial Light and Magic, in San Francisco. Cheng was mostly focused on how science and programming related to art, which is something that is evident in his work today. While he worked in the film industry, creating software and effects for projects such as Transformers, Cheng began sporadically venturing into painting and installation. This pushed him to explore his capabilities as an artist and to think about his work in its own capacity. Cheng earned his MFA in Visual Arts from Columbia University in 2009, and publically exhibited his first piece in 2011 entitled, This Papaya Tastes Perfect, a simulation re-enacting an altercation he witnessed between a couple and a car driver in Manhattan. The work served as Cheng’s entrance into the world of computer-simulation art. 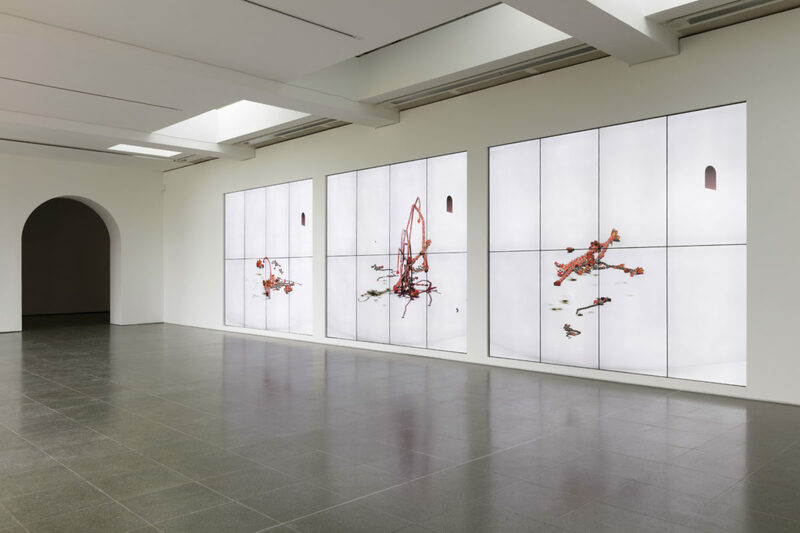 Since then, the artist’s mesmerizing and idiosyncratic works have been displayed in a breadth of formats, at The Standard in Oslo, MoMa, Fondation Louis Vuitton, Frieze New York, and, more recently, The Serpentine Galleries and Pilar Corrias in London, among others. 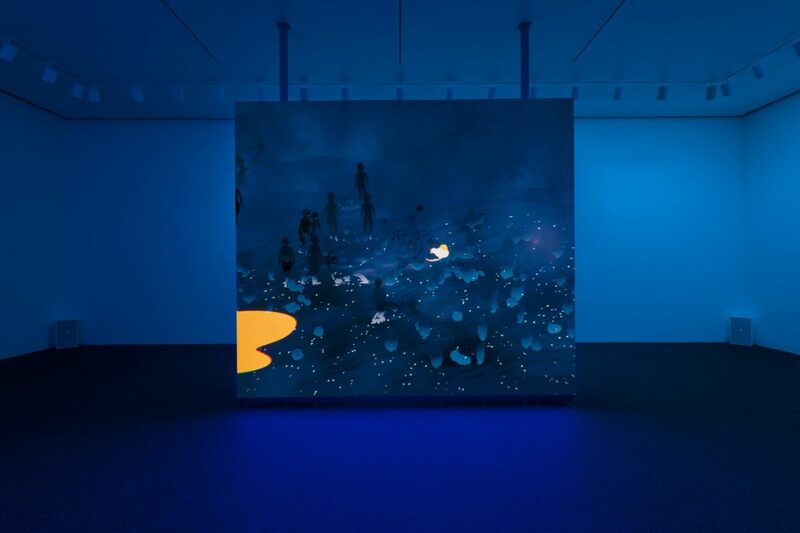 In 2018, Cheng unveiled the second half of a two-part exhibition, a trilogy of simulations entitled Emissaries, at the Serpentine. Emissaries features an ecosystem of characters who react to their environment, with the exception of one character, who Cheng calls “The Emissary.” This character tries to follow their goals given to them in this zany virtual world, but has difficulties doing so given the changes happening amongst the other characters, and the fluctuations within the environment itself. “The Emissary” works in two ways – sometimes it succeeds in controlling and achieving these goals, but sometimes, the environment and other characters end up controlling it. A similar presentation of this work was displayed at MoMa PS1 in New York last year. Also included in the Serpentine exhibition was Cheng’s simulation work, BOB, standing for “Bag of Beliefs,” which allowed a direct interaction with gallery-goers. BOB is a surreal, redish-orange creature that is controlled by the viewer, as they wrestle to govern it with the “BOB Device,” a programmed iPhone X. Cheng uses Artificial Intelligence technologies to help achieve this. BOB may hate you, or it may love you. It may ignore you, and you may ignore it. Everything that you have done may have permanently influenced BOB’s behaviors or beliefs. 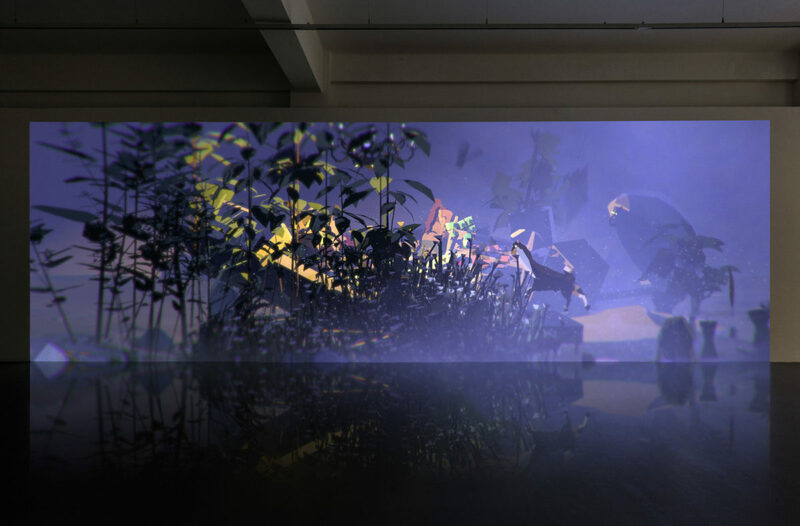 In Cheng’s simulations, the viewer plays a major role in its function and success of the work. Currently, Cheng is working on an expanded eBook edition of Emissaries Guide to Worlding, the print version of which was published in May 2018. On his Instagram, @eyecheng, he posts sneak peeks of what the eBook is set to look like. His work will also be featured at the MAXXI national museum in Rome, Italy, as part of a new exhibition called, Low Form. Imaginaries and Visions in the Age of Artificial Intelligence. The exhibition will feature Cheng along with 15 other international artists, running from late October 2018 to February 2019.